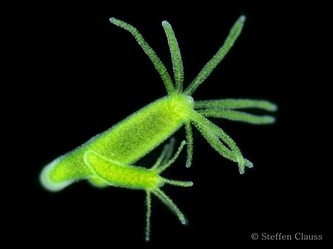 The major difference between binary fission and budding in unicellular (single celled) organisms is during cytokinesis. Prior to reproduction the DNA is replicated, creating a complete set of DNA for each cell. Then mitosis occurs, creating two complete Nuclei but when the cytoplasm begins to divide the "daughter cell" or bud is given a much smaller proportion. 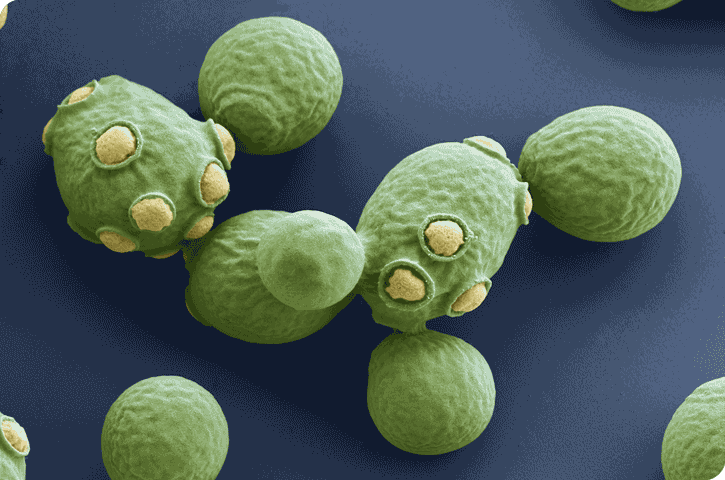 Below are colored photographs of yeast that are releasing buds. Yeast are a type of fungi, making them eukaryotic. Budding is also possible in mulitcellular organisms. 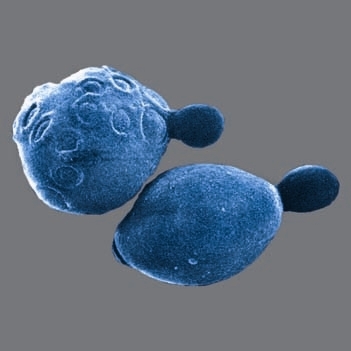 the parent cell begins to grow a complete miniature version of itself. 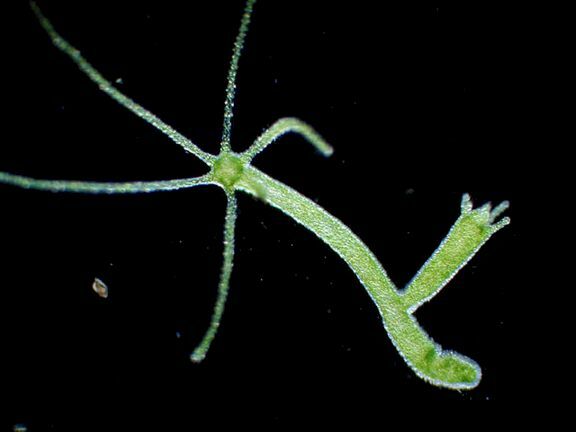 This begins with a tiny bump on the surface of the adult where cells divide very quickly. As this rapid cell division continues it begins to develop into a new organism.